I want to start by saying both thank you and so sorry in the delay of this post to Stormy Smith. She sent me this copy for review, and I have no idea where my original post went. Looking back on my Goodreads (Thank goodness) I was able to see that I hadn't posted my review there, and then quickly came here only to realize my review wasn't on here either! But fear not, better late than never, so lets get on with it! Alright so for me this book had mixed emotion. On the one hand I really loved how much you became to love-hate-love the characters. You see their past come back to their present and both Charlie and Trevor try to mend their broken relationship while trying to move forward. On the second hand, I felt like there were moments that dragged on, or I just wanted to pull out my hair over things that Charlie was doing...there really was no in between! Taking a quick step away from Charlie and Trevor, let me talk about Sam and Darcy. WOW! I don't think I've met secondary characters that were so strong since the characters from Kennedy Fox! Like I felt like I was in the story, and living with them all like a fly on the wall. From beginning to end, you see the characters develop both on their own and together as they try to heal their own old wounds. I felt like at first it was really hard for Charlie to see Trevor, and although it seemed a bit harsh, I think that she just needed some time. There were a lot of hot topics discussed, and you see a relationship that deserved a second chance. I think that apart from moments feeling too long or boring, I also felt like sometimes the type of dialogue they have with one another doesn't feel realistic. I felt like it was a little awkward sometimes, wondering if I ever spoke that way in college....wait...nope, I don't think so. "I'm not here to hurt you, I'm here to help you. I'm here to do what I've been doing my whole life. What you've been doing your whole life. We save each other." I really felt like I was on a roller coaster ride of emotion because it's like it never ended. 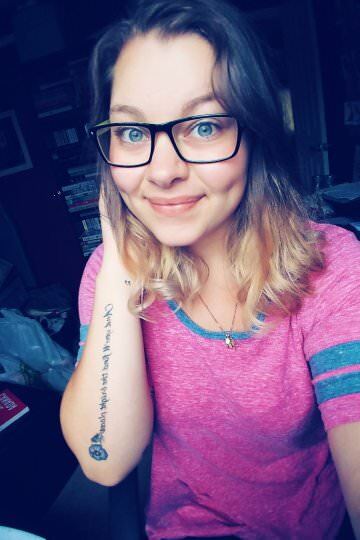 You could really feel the pain, hurt and scars from their past, and how they came together to support one another, have these awesome best friends who offer some awesome advice while having their own issues. "But when you're with me, you forget who you're pretending to be and you question why you're pretending at all, don't you?" Overall this was a good story. It dove into hard topics at the same time trying to ease it up with music, love, and friendship. I think that it's worth reading, because it is unique. I personally felt like there could have been a bit more with it to make it even better! 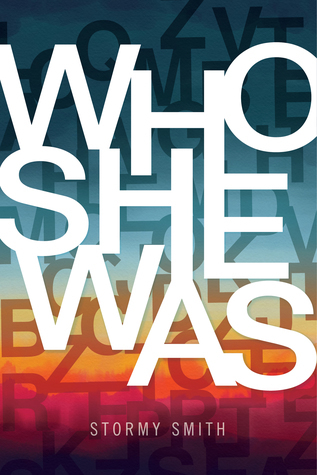 So that's all for my review of Who She Was, I hope you enjoyed it!